Peak Servo Corp has a long and successful history of working closely together with our customers to design cost-effective solutions to satisfy their most challenging requirements. Our engineering team will work with you from the earliest design conceptualization stage, all the way through to delivery of final product, fully tested and ready to deploy. We can offer a flexible and low cost solution to your special needs by modifying or repackaging our standard models. 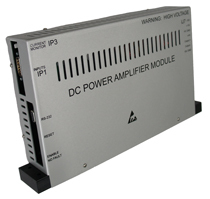 Only the features and output power required by your specific application will be provided. This approach can yield substantial cost savings in volume production. 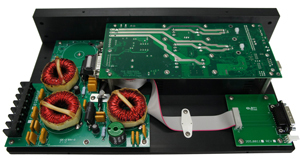 We can provide custom products where we integrate customer-designed electronics with our motor controls into one product. We can furnish our standard, semi-custom, or custom products into a variety of product package options, including plug-able printed circuit boards, panel and rack mount chassis, and sub-racks. Please contact us regarding your custom application.